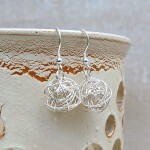 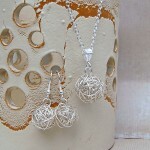 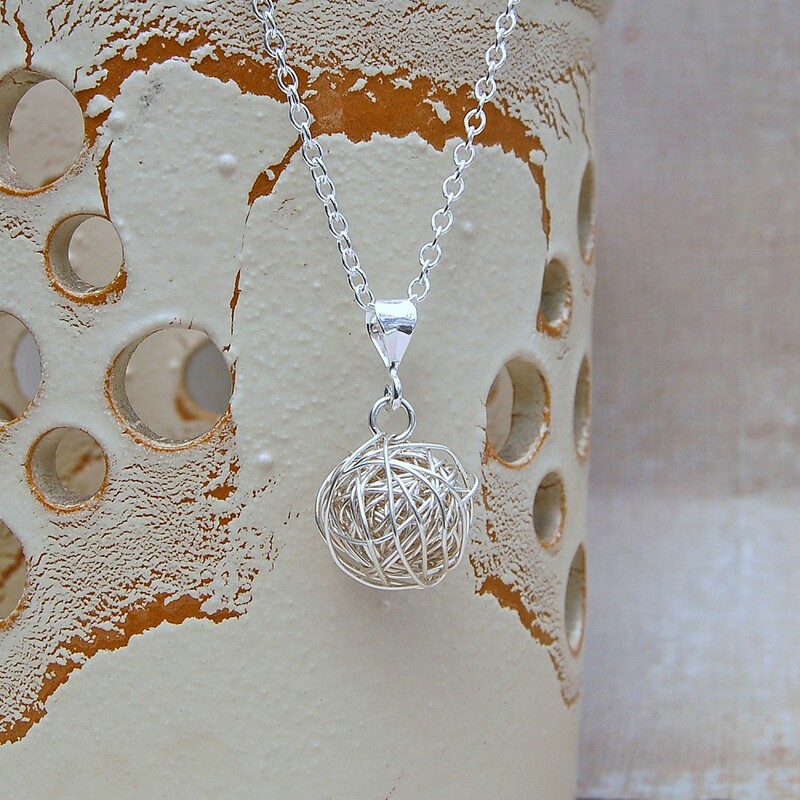 An elegant and striking handmade sterling silver wire wrapped ball necklace. 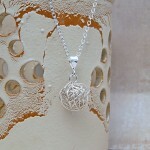 This sterling silver wire wrapped necklace that resembles a bird's nest is unique and has a timeless appeal. 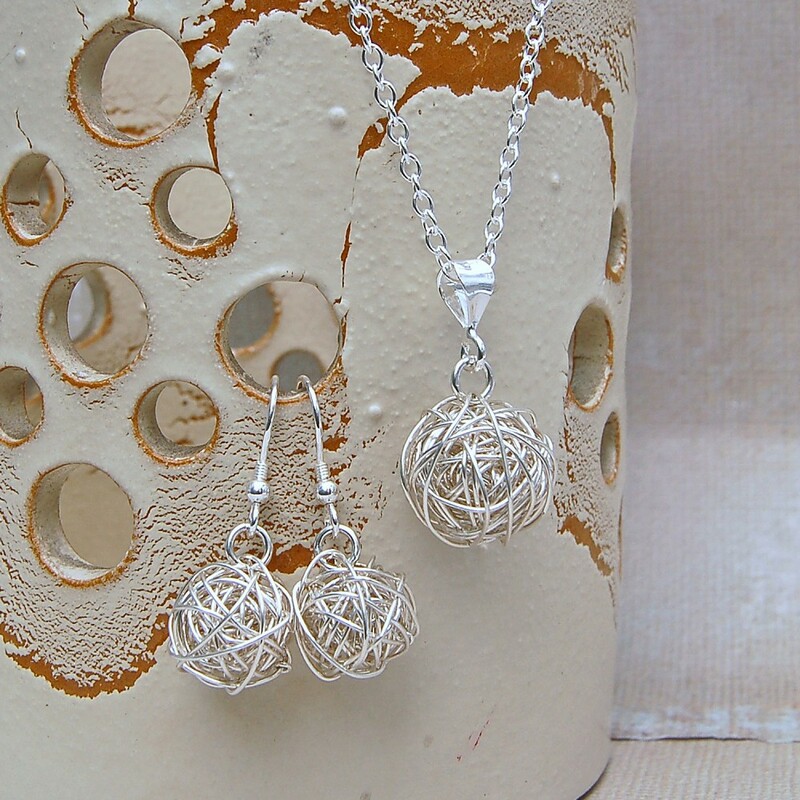 It looks great for both daytime and evening occasions and is also popular with brides and bridesmaids due it's elegant simplicity. 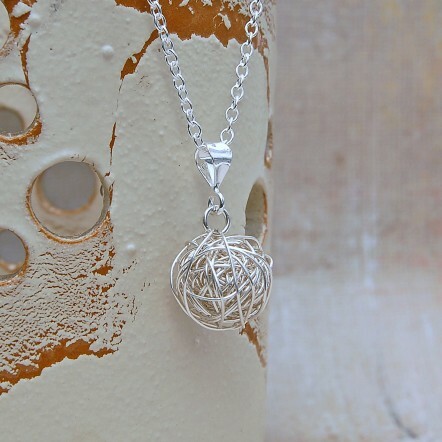 A version of this necklace with the addition of a round creamy/white freshwater pearl is also available and both versions are also available in 14ct Gold Fill. 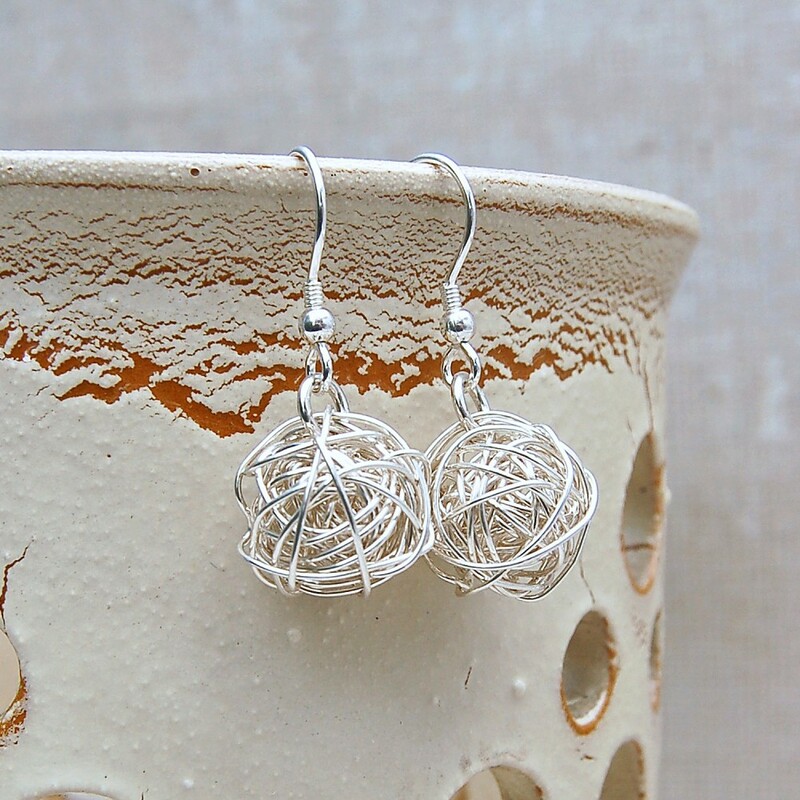 The silver wire bead measures approximately 1.5cm in diameter. The sterling silver chain is available in a number of different lengths to suit all individuals.